Just a few months after finally reaching a settlement with Dickie Scruggs in a lawsuit stretching back 15 years, attorney William Roberts Wilson has moved into the office space that once housed his nemesis’ law firm on Oxford’s Square. “Ever since watching ‘Intruder in the Dust,’ I’ve wanted an office on the Square,” Wilson said. He had previously worked out of Tuscaloosa, but he said that, after a decade and a half of financial issues, he could afford to make the move. Faulker’s Intruder in the Dust may have inspired Wilson. However, it is the similarity of Wilson’s story to what one source called the “social hyporocrisy” and “irresistible comedy” of Twain’s The Prince and the Pauper that comes to mind. “Social hypocrisy” and “irresistible comedy” are so common on the Square that Wilson – a knight of the Kingdom of Dreams and Shadows attempting to assume the role of the King of Torts – should feel right at home. Big football weekend here in the land of the slabbed; but, no sports channel was covering the settlement game – and one is definitely playing in Wilson v Scruggs. 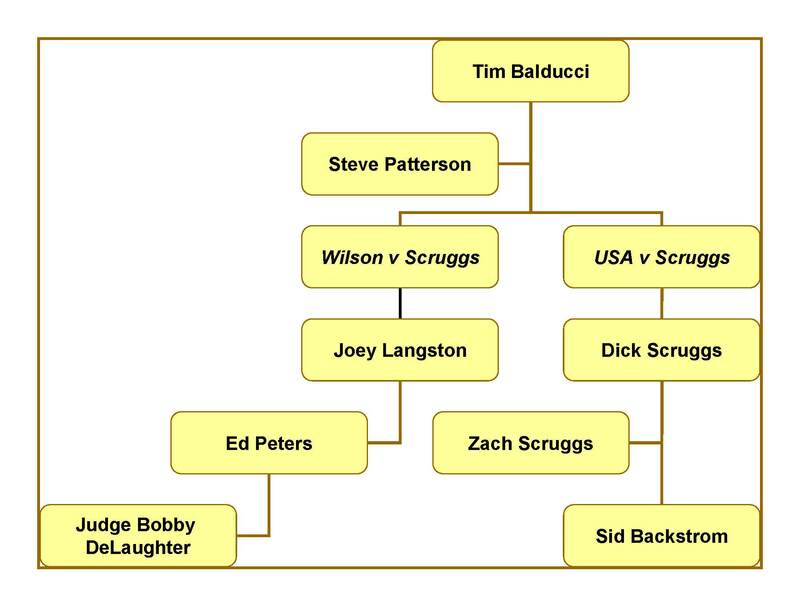 Almost simultaneously with their settlement with Team Scruggs, Team Wilson filed a weak response to co-defendant Steve Patterson’s Motion to Dismiss – an obvious incentive to settle.